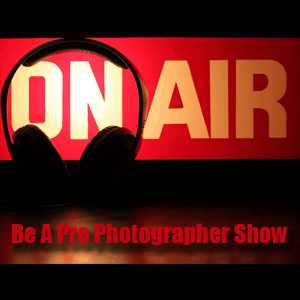 This week on the Be a Pro Photographer Show, our topic was “Getting Started! How budding pro photographers can develop a client base.” I was joined by Jacob Curtis of FollowFanPage.com and Ed Cord, a professional photographer in East Tennessee. In this first episode of the new Be A Pro Photographer Show, we discuss how to develop your client base as a new pro photographer. We discussed the obvious things like “Make a Facebook Page” and “Create a blog” and why just those obvious things alone aren't enough to find enough paying clients to support your business. Facebook is the key for most new photography businesses. The mistake many photographers make is that they create a new Facebook page, mention it ONCE on their own personal page, and then get disappointed because their Facebook page isn't growing. Most of us have around 500 friends on Facebook. Can you imagine how busy your business would be if you got to shoot every baby birth, wedding, engagement, family photo, Christmas card, etc, of each one of those 500 people? The point is that your main client base should be made up of friends. Obviously you don't want to charge your best friend or a close family member. We're not talking about them. We're talking about your friend from a previous workplace, your high school acquaintance who you haven't talked to in years, your neighbors, etc. You need to get something going! Too many new photographers sit around the house wishing they had more clients, but refuse to take on entry-level jobs to get started. One great way to make a little extra cash and to expand your client base is to offer “Meet me at the park” deals. After a shoot or on a slow afternoon when you have no clients, advertise on your Facebook fan page AND on your personal Facebook page that you'll be at Main Street Park from Noon until 2PM, and you'll do photography of kids for $50. This is a very low-budget shoot, but if you get two or three moms to bring their kids for this deal, you could make out with a few hundred dollars that afternoon. These aren't the highest paying clients, but isn't it a million times better than sitting in the house and wishing you had clients? I hope you'll join me next week for the Be a Pro Photographer Show every Tuesday evening at 9PM Eastern, 8 Central, 7 Mountain, and 6PM Pacific Time.